According to the Toronto Star, apparently there are not enough willing Canadians to fill all the positions in the fast food industry. Yes, businesses say that there is a shortage of fast food servers in Canada! Most of you have already heard the story that there is a labor shortage in certain industries as there is a skill mismatch between what Canadian employers want and what Canadian workers can provide. Consequently, Canadian employers look outside of Canada for future employees. In the meantime, the Canadian unemployment rate remains at 7.2% as of April, 2013. 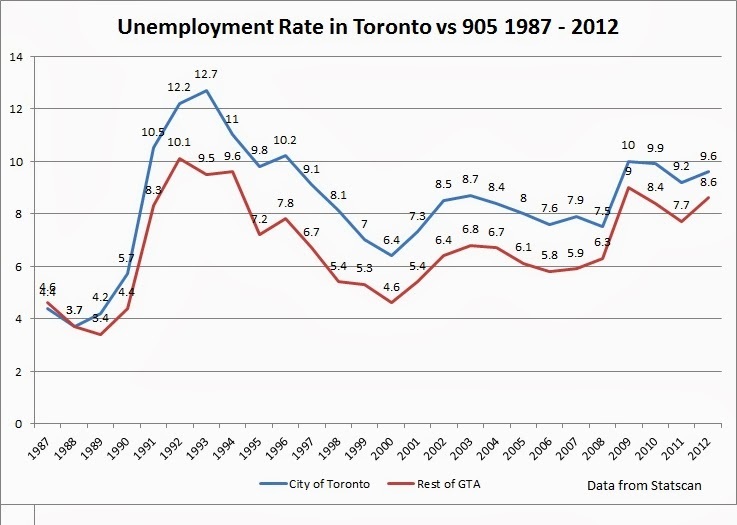 The current unemployment rate in the City of Toronto is 9.1% as of March 2013, while the unemployment rate in the "905" area is 7.7%. 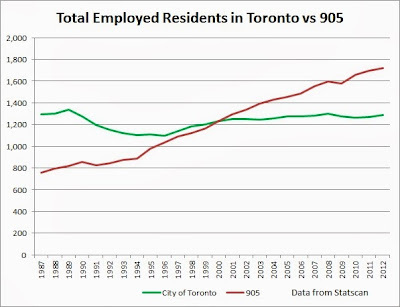 What is the most surprising is that the there were less employed residents in the City of Toronto in 2012 than in 1987, 1988 and 1989. 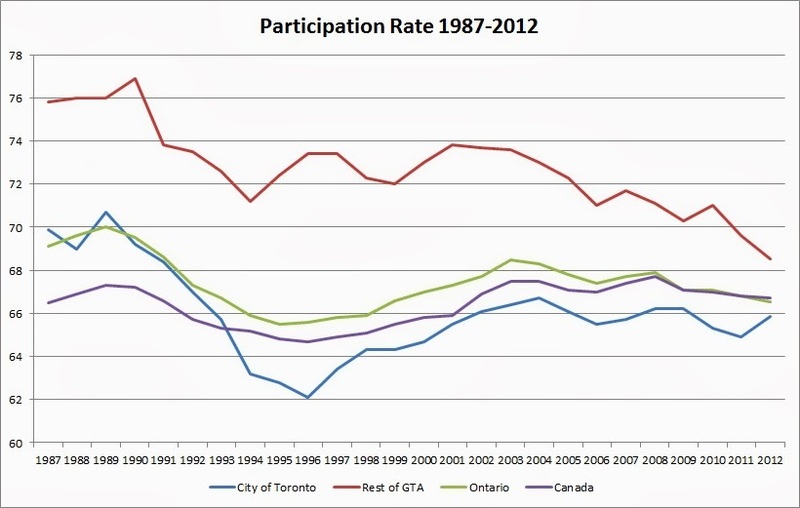 During the onset of the first housing bubble in Toronto, the unemployment rate was below 5%. 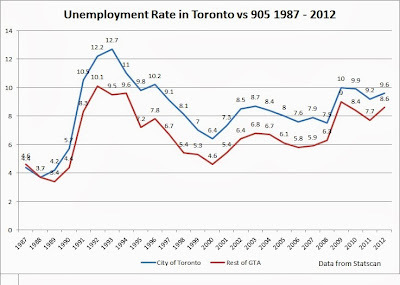 Interestingly, the only time that the unemployment rate was lower in the City of Toronto than the rest of the GTA was 26 years ago in 1987. 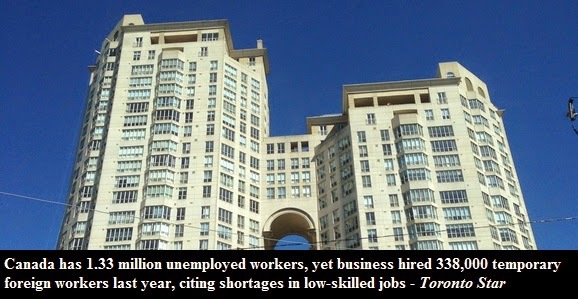 Coupled with a recession, the burst of the housing bubble skyrocketed unemployment in the city to over 12%. I find the below graph very interesting. 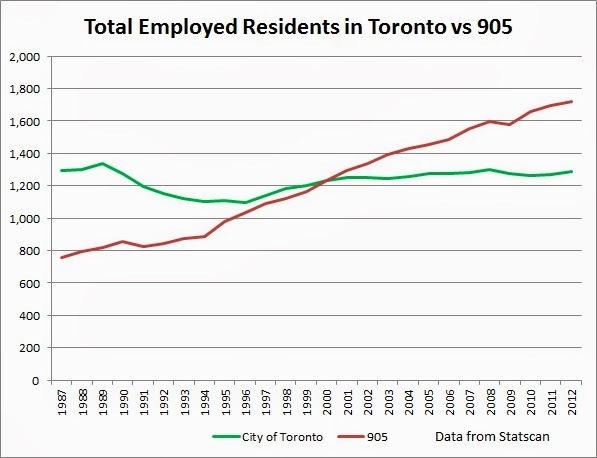 The number of residents of the city who are employed remained relatively steady for nearly two decades while at the same time the number of employed residents in the 905 was consistently growing, even through the recession of the early nineties. 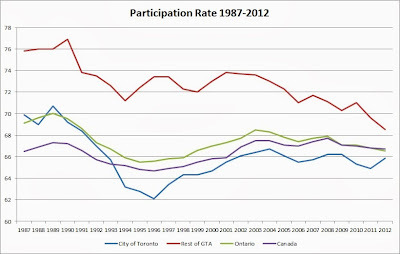 Note this graph does not represent the number of available jobs in each area. 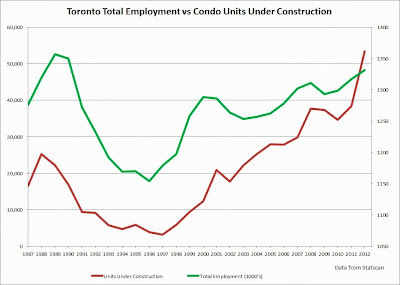 The graph below shows the total employed residents in the City of Toronto versus apartment units under construction. 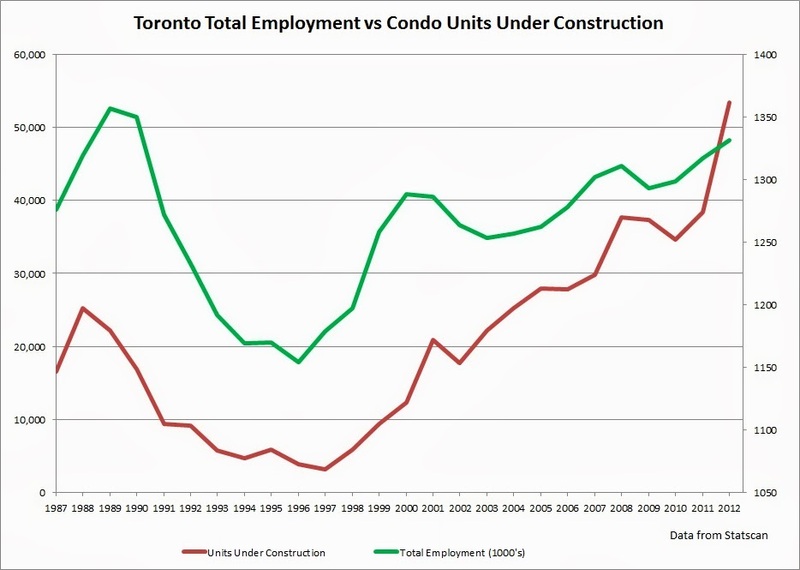 Given the fact that sales of new condos crashed over 40% in recent months and housing starts are also in decline, it's a no-brainer that soon the number of apartments under construction will fall - just like the number of employed Torontonians.